The offer is valid for those who purchase the newly launched OnePlus 5. In addition, to extra data, users will get free Vodafone Play subscription for 3 months on a recharge or rental of 1GB or above. Vodafone has announced a partnership with OnePlus India to provide additional 45GB 3G/4G data for five months to those who purchase the newly launched OnePlus 5. To avail the benefits of the offer, OnePlus 5 users will have to recharge for a data paln of 1GB or above. Postpaind users can also avail the offer by subscribing for a 1GB or higher data plan from Vodafone. 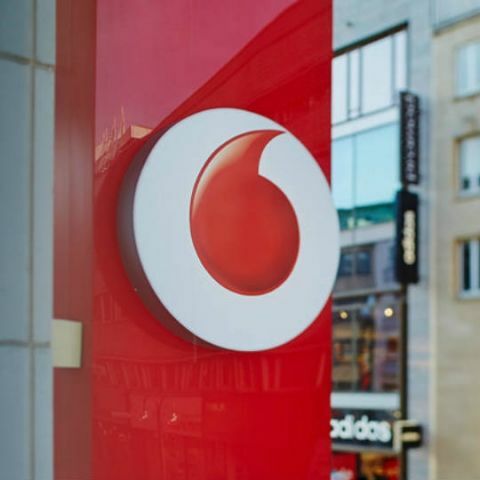 In addition, users will get a free subscription to Vodafone Play for 3 months, and Vodafone Red customers will be eligible to get an additional data benefit of 30GB (10GB per month for 3 months) through my Vodafone App. Vodafone India, one of India’s leading telecommunications service providers, has partnered with OnePlus for their much-awaited flagship smartphone OnePlus 5. Vodafone invites all customers buying OnePlus 5, to experience its Data Strong Network with its exciting offers. To further enhance the customer delight, Vodafone Stores in Bengaluru and Delhi will display the newly launched Oneplus 5 where customers can walk in to live the OnePlus 5 experience. All OnePlus 5 users can avail the offer of 45GB 3G/4G additional Data for 5 months (9GB per month) and 3 months free subscription of Vodafone Play on recharge of 1GB and above in prepaid and 1GB or above rental plan in case of Postpaid. Over & above for Red customer will be eligible to get additional Data Benefit of 30GB (10GB per month for 3 months) through my Vodafone App. Vodafone Play is a one-stop entertainment destination to enjoy streaming of content; be it Live TV, popular shows, latest movies or trending music videos. Vodafone Play app comes with superior capabilities of seamless streaming of blockbuster Movies from popular apps, HD quality Live TV channels, catchup shows, dual view screen with while browsing along with exciting offers. Vodafone Play has a large library of videos, movies, and music on Vodafone Play, single window to the world of entertainment, with 150+ Live TV channels, over 14,000 movies, TV show titles and a wide range of all genres of music. Moto x(2nd Gen), Nexus 5 or Oneplus One?